Often there are situations that require immediate medical attention. Delay of a fraction of second can also result fatal. This delay can change the life of people. In such a case ambulance service in Kharar come to forefront. These services are very important to the society as they save hundred of lives. Call them from any rural place at any odd time and these services will be there to help you. In an emergency ambulance you will often find a technician and paramedics. These paramedics on arrival evaluate the severity of situation and on the basis of evaluation take decision if the person can be transferred to hospital or can be treated then and there. The main role of ambulance crew is to stabilize the situation and prevent any miss happening before the patients reach hospital. Best ambulance service in kharar take immediate action and take effective life saving actions in a safe way. This crew is well trained to give immediate first aid and deal with situations like bleeding and injuries, cardiac arrest and accidents. A few years ago the primary function of these ambulances was just to transfer patients to and from hospitals. It was mere a transfer vehicle. But now the time has changed. And ambulance service providers in kharar have become quiet important part of healthcare service. With the passage of time air ambulances have also come to forefront. It is a kind of aircraft designed to give medical assistance to patients. In case of very critical medical situation these ambulances are used. 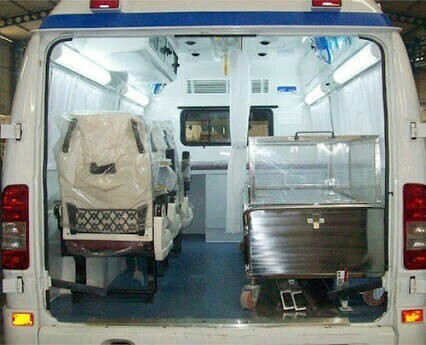 Also when the patient has to be transported over long distance this kind of ambulance is used. It has all kinds of instruments like ECG machine, ventilator and stretcher.